This event was cancelled due to weather. 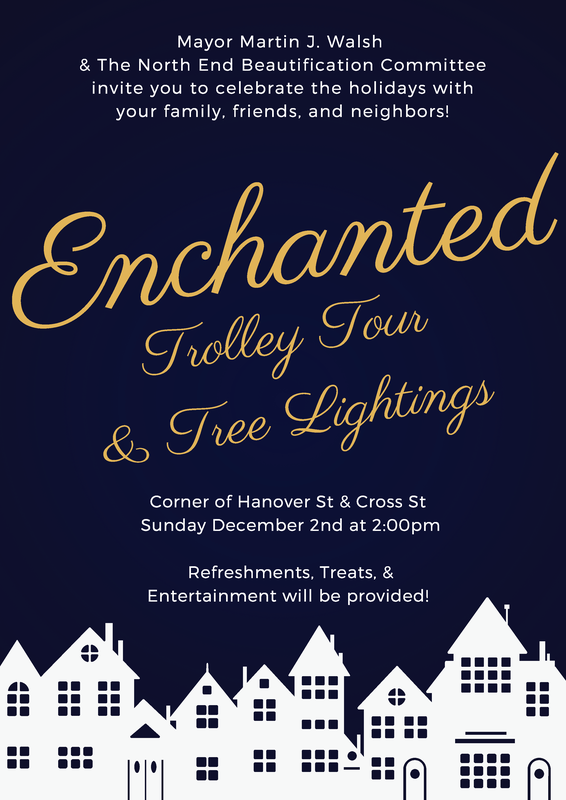 Come see Mayor Walsh’s Enchanted Trolley Tour that will be stopping by the corner of Hanover and Cross Streets at 2 p.m! Meet Santa and his holiday helpers while enjoying some light refreshments as the tree is lit. Please note, due to the Prado restoration this annual event will take place at Cross Street Plaza.